THIS SYMBOL was created as my personal expression of unity. 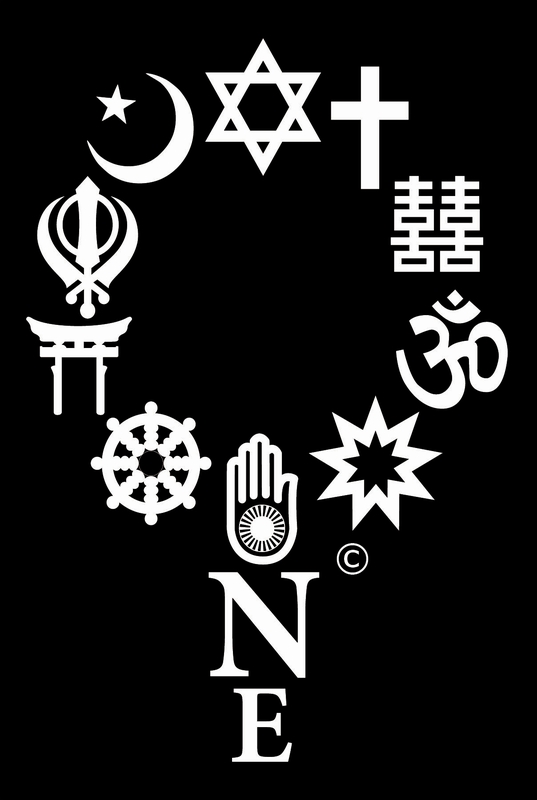 The circle represents the top ten organized religions based on the number of followers and spells the word 'One'. 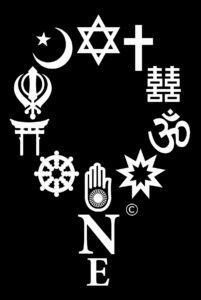 MOST RELIGIONS share the same core principles, promoting peace, love and the golden rule. the beauty in every person. All People. All Faiths. All One.